Courtesy of First Team Real Estate, Michael Kelly. This is a 3 bedroom 2 bath home in Riverside. Upon entering the home you step into a spacious living room with a cozy fireplace. Moving past the Living room you enter the large kitchen and breakfast nook which overlooks a large back yard. 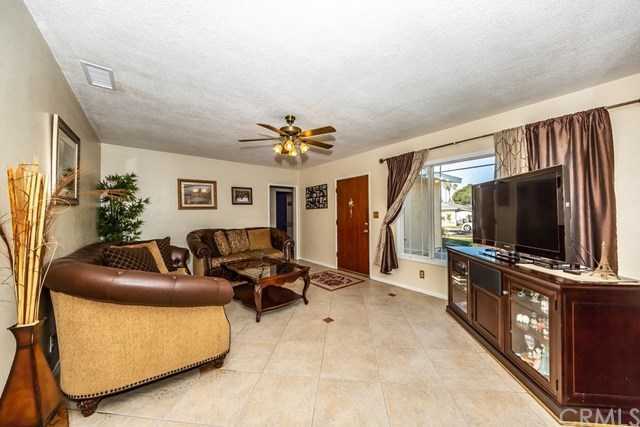 There are 3 bedrooms, 1 full bath and a 3/4 bath, both in the hallway. A room has been added to the rear of the home off one of the bedrooms. This room is not pictured in the photography. The back yard has a large patio with a cover and plenty of grass area for entertaining. The driveway has been expanded to allow for extra off street parking.